After living in Leeds for nearly three years, you would think someone like myself would know the city like the back of my hand and be a bit of a Loiner. However there are many places in and around the city which are somewhat hidden, and less known about. Come on an exploration and see what else Leeds has to offer apart from an impressive Royal Armouries museum, one of the largest indoor market in Europe and a world renowned cricket ground. 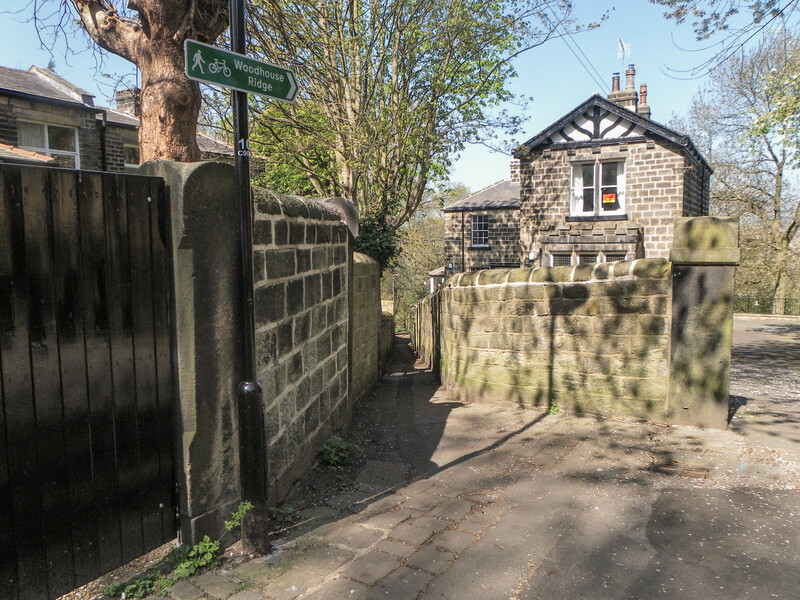 These are a few hidden spaces in and around Leeds which you should explore for yourself. First off, it seems fairly obvious and not exactly ‘hidden’… However, from my own research (living and socialising with students aged 20-25 years old) not many people have been, let alone heard of, the canal…. I know. But it’s definitely a spot worth visiting. Mike Clarke is a member of the Leeds Liverpool Canal society. Mike used to live on a boat on the canal in the mid-1970s. 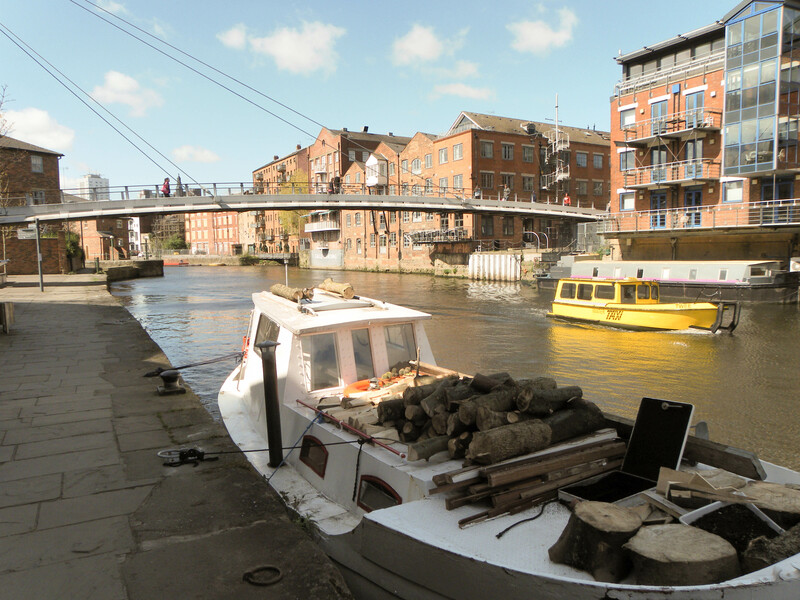 “I used to take co-workers who lived in Armley all their life, down to my boat in Leeds, and being amazed at the comparative peace so close to the city centre.” This part of the canal is tucked behind The Calls, near the Royal Armouries Museum. It’s hard to believe it’s so close to the centre of Leeds as it is so serene. Mike worked at Armley Mill Museum and used to walk up the towpath every day: “It was less used and more isolated than today although the rapid growth of trees, particularly on the river valley may have led, to some extent, the vistas over the river to the city centre, from that the whole canal now feels more hemmed in and enclosed.” But is that a good thing? He says: “We need to consider how best to conserve the natural environment, given that everywhere around us, at least near Leeds, is a man-made environment. 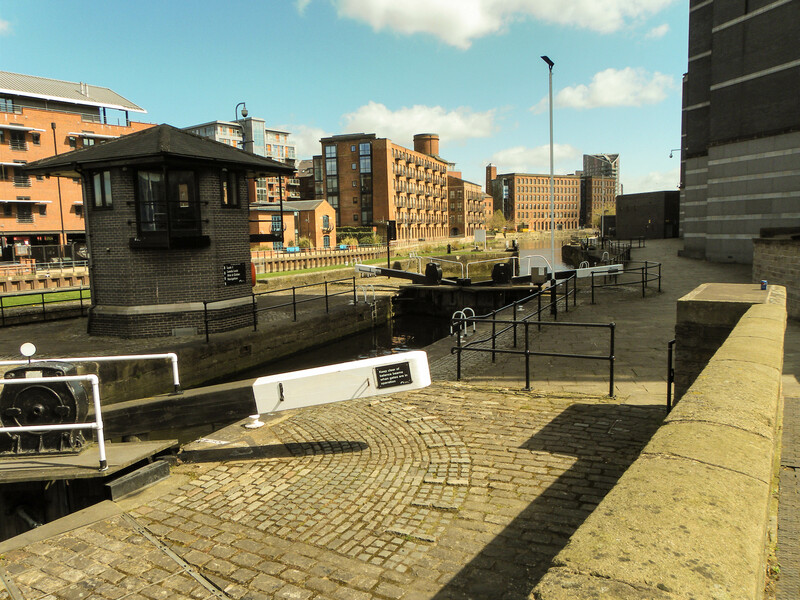 Should we prioritise the natural environment, or should we consider better how we are affecting the environment and encourage the conservation of man-made structures, such as the canal.” There is a towpath perfect for cyclists and walkers who fancy a cycle or stroll along the River Aire. To access the canal you may wander over Centenary Bridge which is ladened with padlocks with letters marked on with Sharpie pens. In the 21st century this is now the way to display your love to your significant other. Who says romance is dead? You must have seen a couple on your Facebook friends holidaying to Paris and proving their love with a locked padlock on the Pont De L’Archeveche? The tradition dates back at least 100 years to a tale from a small town in Serbia. A schoolmistress fell in love with a Serbian officer during WWI. He left her for war and met another woman. The schoolmistress never got over her heartbreak and as the tale goes, later died from it. From this, couples in the small Serbian town and beyond have protected their love by fixing padlocks to bridge railings and throwing away the key. 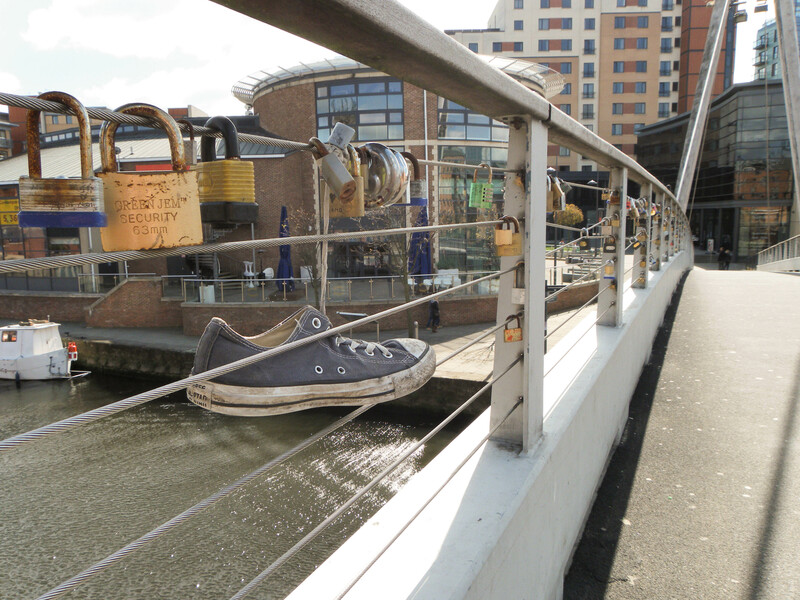 From the early 2000s, other European cities adopted this tradition and now it has made it to Leeds’ Centenary Bridge. Woodhouse Ridge, or “The Ridge” is a linear woodland overlooking Meanwood Valley and is just under 2 miles from City Square. Nigel Lees is a member of the Woodhouse Ridge Action Group (WRAG), a community action group established in 1995 that undertake conservation and management tasks alongside local residents who volunteer and put something back into their community as well as the natural environment. 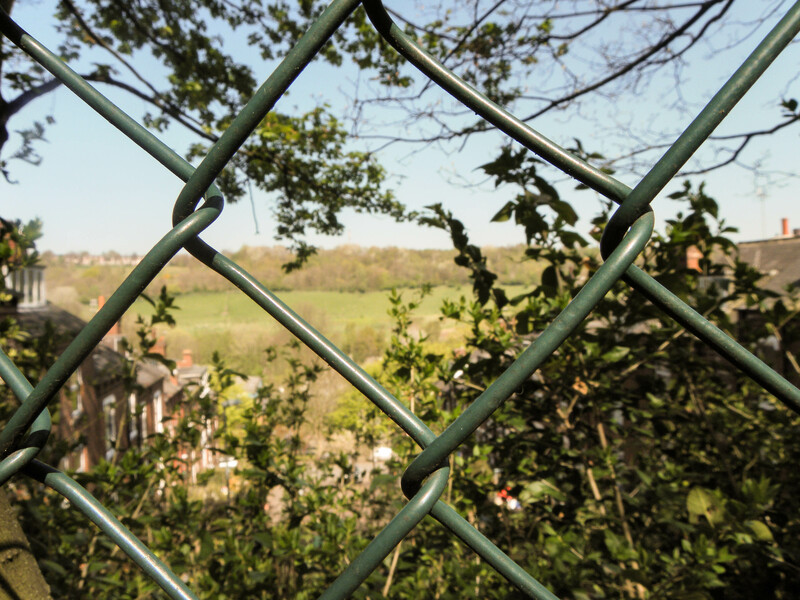 The Ridge connects with the Dales Way, where walkers can travel in woods and parkland from close to Leeds City centre all the way through to Ilkley, continuing through the Yorkshire Dales finishing in Windermere, phew. 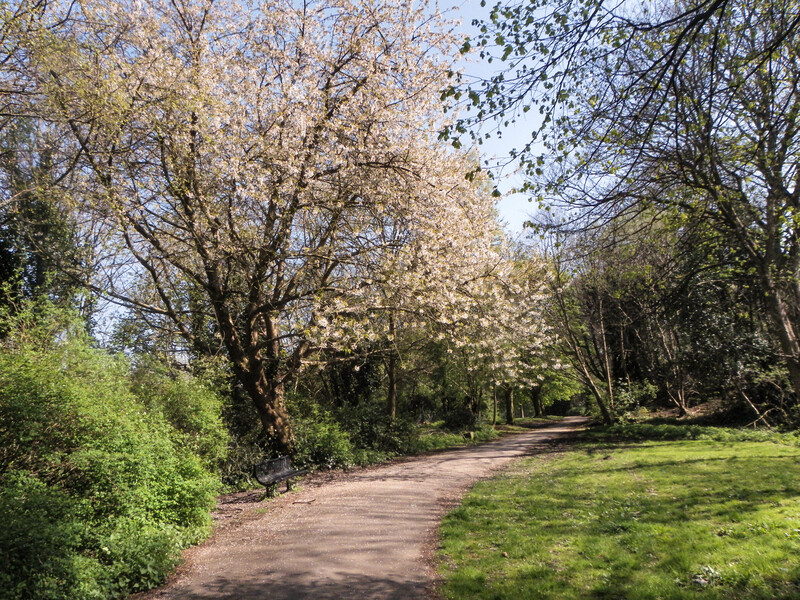 Or if you’re feeling slightly less adventurous, Woodhouse Ridge is also linked with the Meanwood Valley trail. 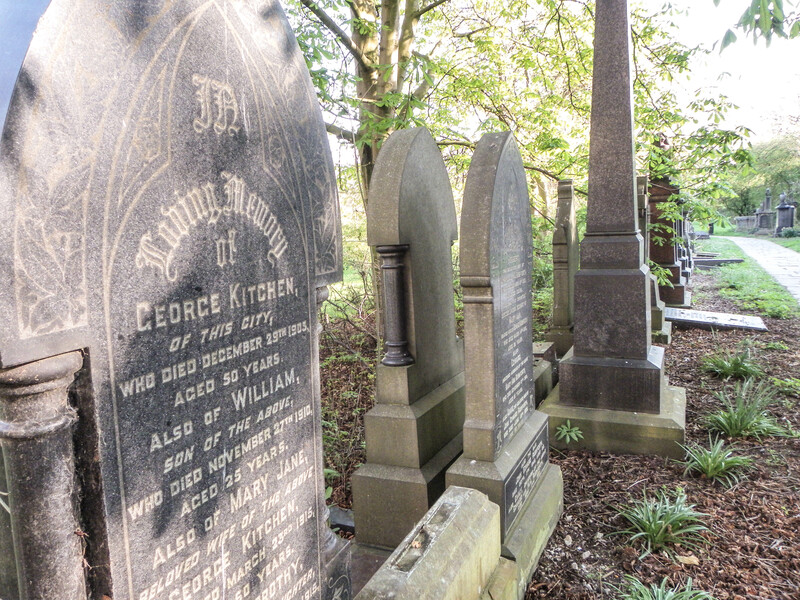 Formerly known as Woodhouse Cemetery, which opened in 1835, St George’s Field stands within Leeds University Campus, tucked just behind the engineering buildings on Cemetery Road. At first glance it looks like an old graveyard that you wouldn’t want to stumble across in the dark but once past the stone pathway edged with stones you see the Cemetery chapel which stands proud in the ‘field’ (which refers to the ‘garden’ – or the big grassy bit). The whole area is surrounded by high stone walls and is very Secret Garden-esque. Heavy rain was washing away earth at Leeds’ Parish Church graveyard in the 1830s so St George’s Field was planned to put in any exposed bones and remains from the Parish Church graveyard which the rain had uncovered. Rest assured, all remains are now fully concealed in the Field but the stones certainly create an eerie vibe to the place. Spooky! Queen’s Square is in the heart of the city near the First Direct arena. 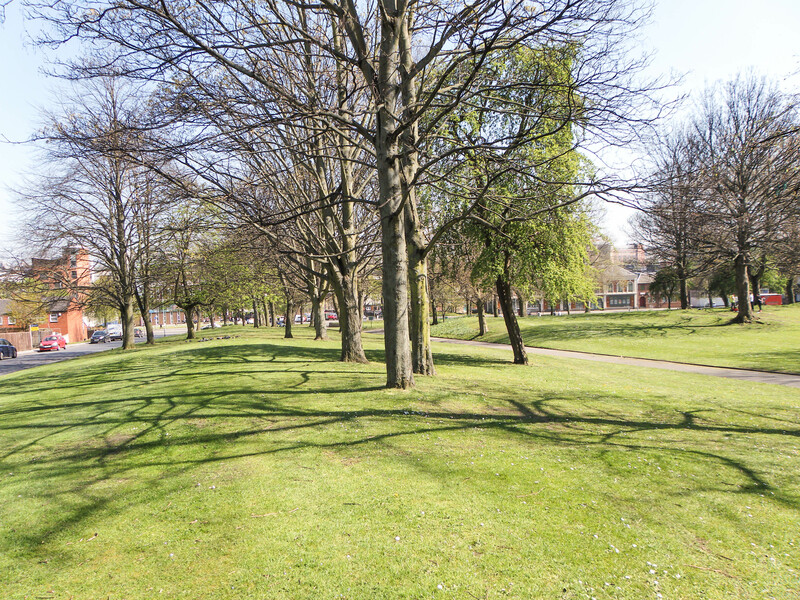 It is a perfect spot to eat your lunch in a bit of piece and quiet during a manic working day, or to bask in the sun when you want a revision break as it’s close to Leeds Beckett city library and Leeds City College. 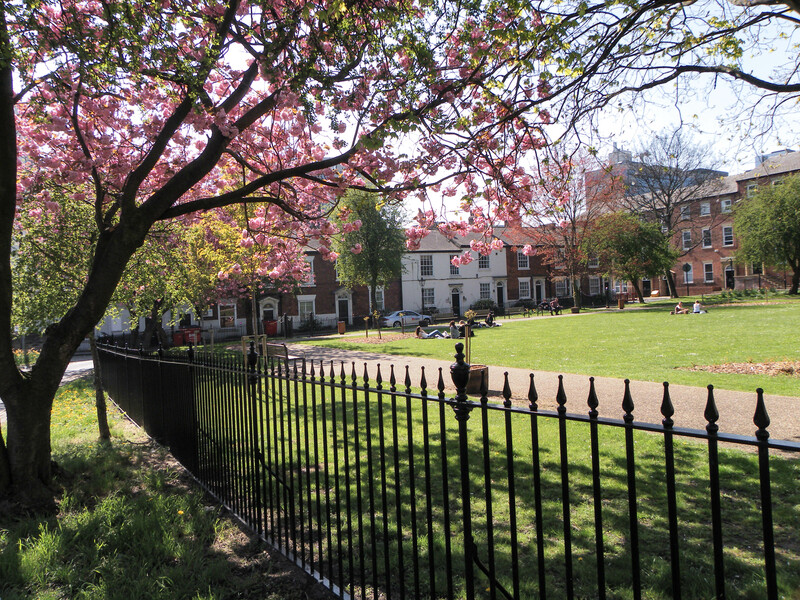 The cherry blossom trees gives a little shade and is surrounded by beautiful Victorian architecture which holds flats and offices. A couple of yards from Centenary Bridge you’ll find the Old Arches, just behind the Corn Exchange. 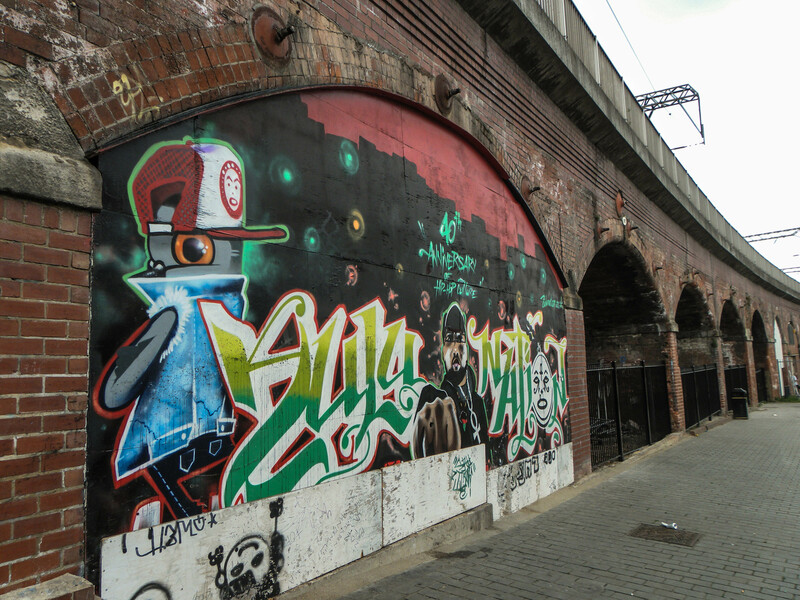 The juxtaposition of the old railway arches of Leeds with the modern graffiti art on the wall makes this area edgy and interesting. A piece of vandalism or a talented bit of street art? Another little spot just outside of the centre is Lovell Park. It’s a green space perfect for exercising as it’s kitted out with fancy work out equipment, says Rebekha White, a student at Leeds University: “I used to have a gym membership in the city centre but then I realised I can just run around parks like Lovell and use the exercise equipment to keep fit whilst saving some pennies”. Missed anywhere? Share your favourite hidden spaces in Leeds.